Argh! 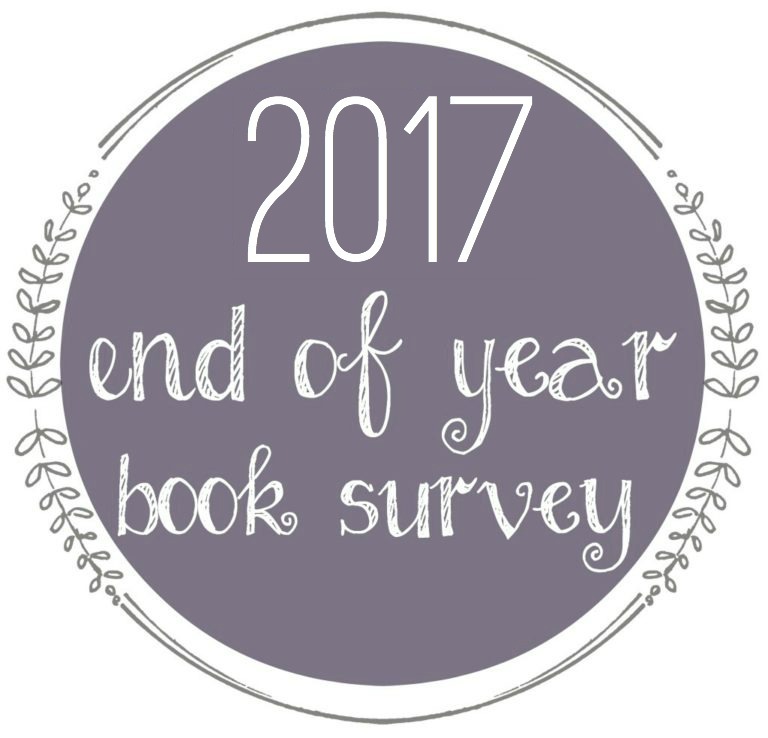 There are so many reviews I've wanted write for books read in 2017. I'm out of time. It is time to call UNCLE and admit they will not get written unless I give them less-than-full reviews. Here is the second of three. 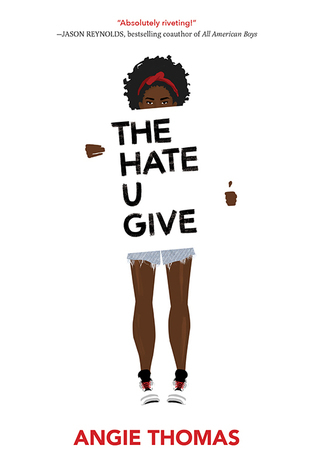 Sasha is a white genderqueer teenager who likes to wear skirts and refer to self as "their, while Richard is a black teen who likes to goof around with his pals and has seen more than his fair share of deaths due to gun violence. They both were teens living in Oakland, California but lived very different lives. Then one day, for a mere 8 minutes the two came into the same sphere, on the 57 bus. While Sasha slept, Richard, egged on by his peers, lit Sasha's filmy sweater on fire with a lighter. Sasha sustained severe burns to his legs and had to go through months of agonizing treatments. Richard was arrested and charged with a hate crime and was remanded to be tried as an adult. Richard, who had been in juvenile detention previously, was deeply sorry for what he did. He even wrote several letters to Sasha expressing this. Several people advocated on behalf of Richard, asking the courts to try Richard as a juvenile. The case gained international attention. One thoughtless act changed the lives of two teens forever. Dashka Slater initially wrote an article for the NY Times about the crime on the 57 bus. She extended her research and wrote this compelling account of a crime and its victims in book form. She writes in a journalistic style which I found easy to read. Though, as a librarian, I was bothered by the lack of a works cited page/no source notes. After reading as a judge for the Cybils in the Nonfiction category, I was used to scrutinizing books for correct attributions and references that are useful to student researchers. Though she did cite some of her sources within the text of her writing, many specifics were omitted. I expected see notes about this in the professional publication reviews of the book, but found none. I must be the only person bugged by this. Once I figured this out, I relaxed into the book and found it interesting and compelling. One more thing. Sasha refers to self and wants to be called by the pronoun "their". Slater used the pronoun "their" when referring to Sasha. I'll tell you the truth, it got me completely confused. I kept thinking the author was talking about plural people. No matter how many times I coached myself, I was confused the whole time I was reading. This really isn't the correct time to address this but I will just make a comment anyway.--- I empathize with the Sashas of the world who don't feel like they fit within our language. We need gender neutral singular pronouns in English that don't confuse speakers and readers. The use of "their", which is a plural but neutral pronoun, when referring to a single person is confusing and breaks with grammar rules. It can be changed, as evidenced by the change from Mrs./Miss to Ms. Come on language creators. Let's get this done. Enough said. Source: Print edition, checked out from the public library. 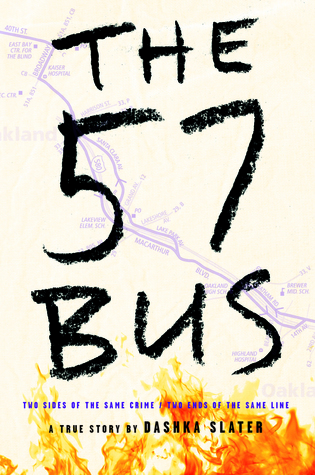 The 57 Bus by Dashka Slater, Garrar Straus Giroux, 2017. Everyone wants a miracle yet most fear what it will require to receive one. The Soria family is all about miracles. Pilgrims arrive to their ranch in Bicho Raro, Colorado in search of a miracle. The first step is easy, the second is hard. So the pilgrims stay until they can discover what they need to do to receive that second miracle so they will be cured of what ails them. The problem is that the Sorias cannot help them with the second step because contact past the initial miracle will destroy them. So the pilgrims and the Sorias live in constant tension. That is until two men arrive, one of them doesn't need a miracle and suddenly the way forward starts to become clear. In order to help others, one must pay attention to needs of self. 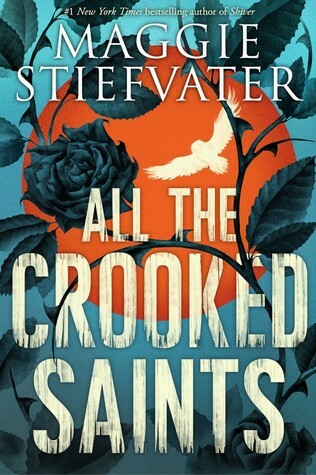 I am a fan of Maggie Stiefvater and her books, with this one being no exception. Yet, All the Crooked Saints has been up and down on the reviews. 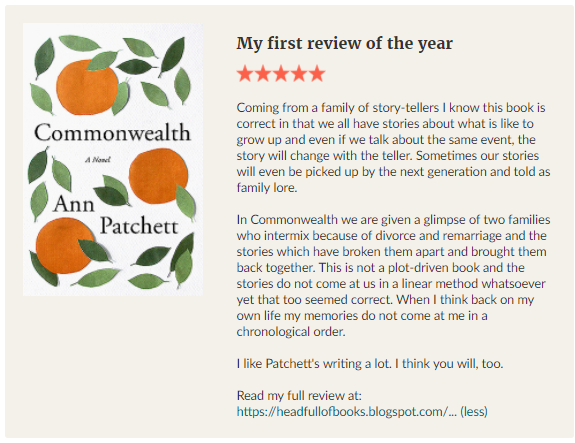 Some of the negative reviews talk about the book not being appropriate because it isn't written in OwnVoice, a new delineation of writing authentically from within one's culture. Stiefvater is not Latina so how can she authentically write from that perspective? I say pish-posh to that criticism. If we took that OwnVoices thing to an extreme no one would be able to authentically write about anyone from an opposite gender or have a cast of multicultural characters in their books. That is silly. I honestly think that Twitter is responsible for this reaction to the book. One bad review and suddenly everyone is afraid to say they like the book. Sigh. I know what she means about dubious advice. Doesn't it always seem to be the case? We ask for help from people who also need help. Ha! What I like about All the Crooked Saints is all the magical realism that is used to highlight points. If you aren't comfortable reading magical realism because it confuses you, think about the magic as a literary technique that is showing the reader a truth without being obvious about it. On the the Bicho Raro Ranch all the Sorias are bound up in their own issues so much that they are living very small lives to the point that interacting with the pilgrims is dangerous. When Daniel Soria falls in love with a pilgrim he thinks of it as a death sentence so he wanders off into the desert to die. While in the desert he goes blind. Even as he feels the presence of the curse creeping up on him, he is given water by long dead family members who encourage him on. Now stop and think. Is he really blind? Is really given water by dead people? No. This is the magical part of the story. The reader has to take a moment to see the blindness and the thirst for what it is. He is blind to self and he thirsts for what his ancestors had---normal relations with pilgrims that didn't involve death. See? Reading magical realism is fun. It just takes time to let the brain kick in and help untangle the messages hidden within. I listened to the the audiobook of All the Crooked Saints, read by Thom Rivera, a Latino actor. I loved listening to him read. I loved the way he pronounced words with accented English. Coyote (kīˈōtē or kīˌōt) becomes (Coy-yo-tay). It made the listening experience delightful. I gave All the Crooked Saints five stars on Goodreads. I loved the whole experience of reading and listening to this book. Source: Audio CDs checked out from the public library. All the Crooked Saints, Scholastic Audio. 2017. Tomorrow is 2018. Today is a chance for me to look back at few favorites from 2017. Reporter interrupted by his children. The reporter is talking about serious stuff like North Korea and then his children interrupt him. I laugh and laugh every time I see it. 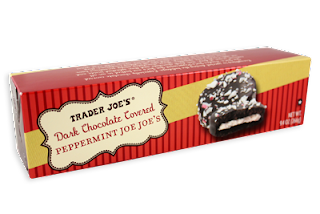 Dark Chocolate Covered Peppermint Joe-Joe's from Trader Joe's. I've only had two of them but I am certain that I could easily get addicted. Luckily they are only available during the holidays. 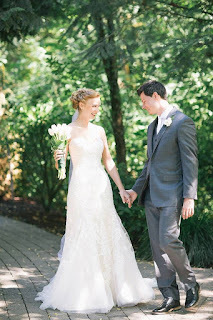 Samantha and Basti's wedding. She's my niece. "Come From Away". My sister and I visited NYC in early December. We attended six shows. This was my favorite. 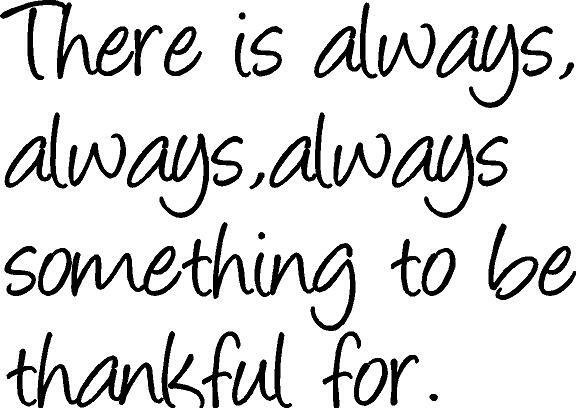 Thanksgiving week-end. A lot of the family gathered for a week-end long gathering which included a feast, a tea-party-bridal shower, a football game, and an introduction. China. Don and I spent a week in China with our friends Ken and Carol. What an amazing trip! The Big Weekend---Don's retirement event from the Army National Guard. my retirement party, Baby Shower for Dan and Rita. 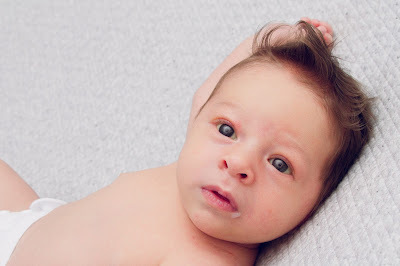 Our grandson, Ian, born on September 13th. Pure joy. Note: I didn't actually read all 900+ pages of the Beatles Biography. I listened to the audiobook and it was only 8 hours long which tells me it was deeply abridged, but Goodreads didn't know that. 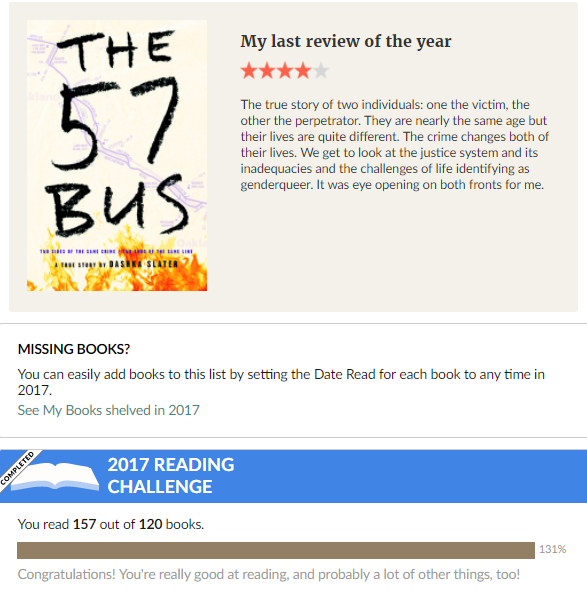 Here is the link to the actual Goodreads page which shows ALL the books I read during 2017. Here's to reading and books in 2018. 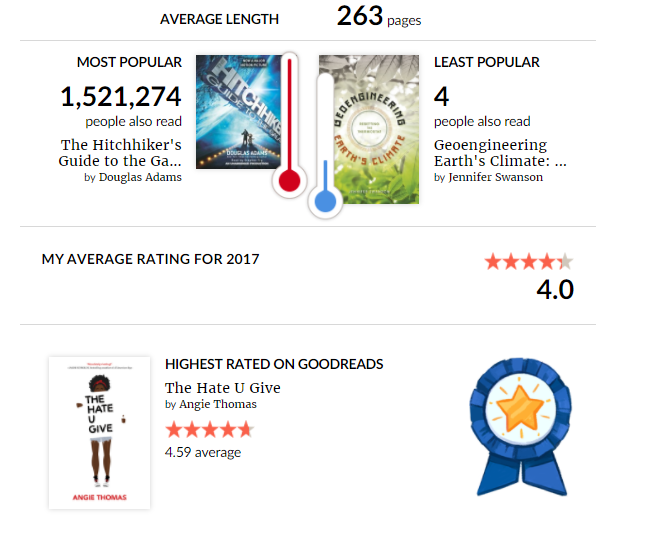 If you haven't joined Goodread, it is so fun and easy and helps you keep track of your reading goals throughout the years. And then it is possible to look back and see what you were reading months or years before. I use it every day and really enjoy it. It is free. 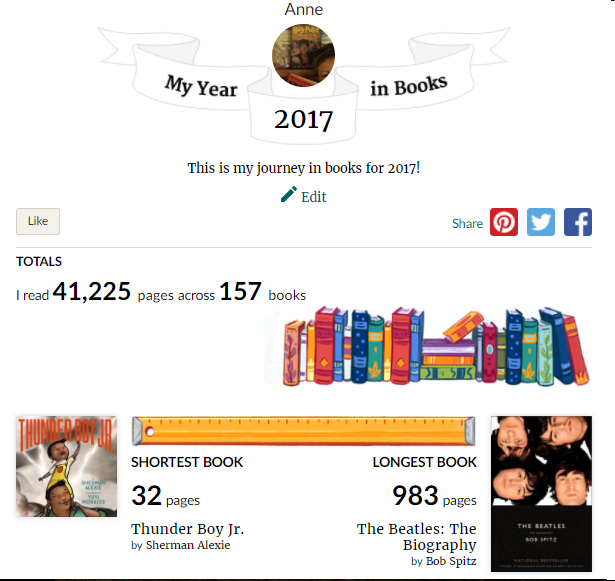 Thanks to Deb Nance at ReaderBuzz for the idea of highlighting my Goodreads end-of-the \-year stats. 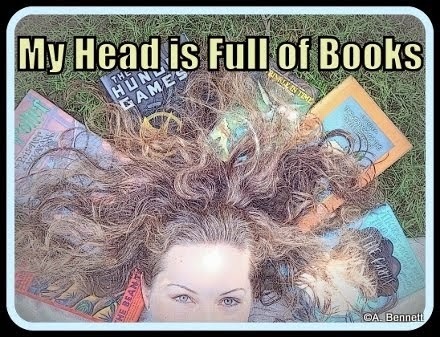 She read WAY more books than me...but then it isn't a competition. Cheers! In the Sixth Precinct, the inexorable current of the river that flowed through Death slowed almost to a stop. Lireal flexed the fingers on her golden, Charter-spelled hand and once again regretted Sam's desire to show off his work. Her hand was glowing like a candle, soft behind gold-colored glass. It was warm, and charming, but just too visible for her liking. Comments: This is the fifth book in the Old Kingdom/Abhorrsen series. I love the first books in it and am just delighted to be back to visiting the old kingdom, again. 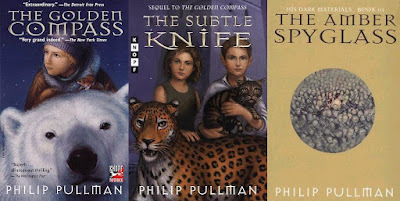 La Belle Sauvage, the first book in a three-part prequel to His Dark Materials series by Philip Pullman, is a magical trip back in time and back to a favorite series. It tells the story of baby Lyra, protagonist of the first series, and her rescuer, Malcolm, owner of the little green boat named La Belle Sauvage. Malcolm, son of the innkeeper in Oxford, becomes interested in Lyra when she is given into the care of the kindly nuns who live across the river from his home. 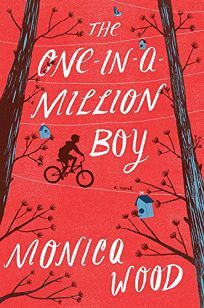 When he witnesses the strange behavior of a man near the convent, Malcolm becomes embroiled in a mystery that is certainly bigger than his young years should have to handle. It puts him right into the path of the dastardly villain, Bonneville, who is determined to kidnap or kill the baby Lyra. When the Thames overflows its boundaries due to a rain storm of the century, Malcolm rescues young Lyra with a crazy plan to float her down the swollen river to safety with her father in London. Little does he know how dangerous the journey would be. Bonneville pursues the small craft with preternatural speed, strength, and resolve. Not surprisingly, Malcolm seems to be guarded by some supernatural beings which allow him to navigate the flooded Thames, with its many obstacles, in relative safety. La Belle Sauvage isn't just a book with an exciting chase scene, however. In it we meet important characters and concepts from the original series. We are introduced to the golden compass, an alethiometer, which is powered by dust and can determine the answer to a plethora of questions. We meet Lyra's father, a great adventurer, and her mother, a brilliant but decidedly dark individual with motives as yet unknown. We are also reminded about the wonderful daemons, attached to each person, acting as conscience, guide, and protector. Lyra's daemon is Pantalaimon or Pan. Malcolm's daemon is Asta. Neither Asta or Pan have settled yet and can change into a variety of creatures at will. One of the ways that the reader knows that Bonneville is a villain is because he beats his own daemon, a hyena. The daemons play an important role in the story. One of the things that makes La Belle Sauvage so special is that it quite clearly gives a nod to children's literature that came before it. Set in Oxford, we are left with the feeling that Alice is likely to pop up at any time. And, as you know, C.S. Lewis lived and wrote in Oxford. 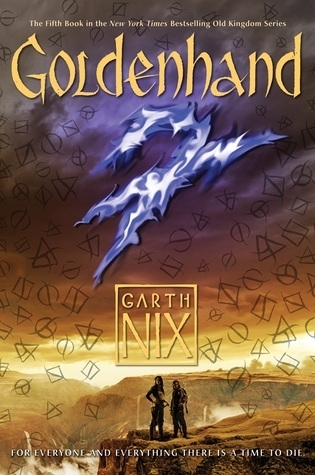 The adventures into Narnia with the supernatural elements weren't far from my mind as I read this book, too. One cannot embark on a water journey without giving a small nod to the Odyssey. It is as if Pullman wanted his readers to know that this book, this series and his characters fall safely into the confines and rules of good storytelling. I read His Dark Materials series years ago and LOVED the books. I was always disappointed that I couldn't talk more of my students into reading the series when I was a librarian at a high school library. 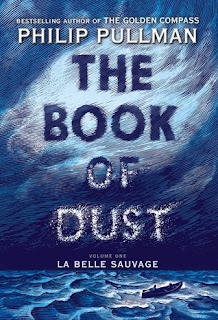 Perhaps La Belle Sauvage, and the whole The Book of Dust series, will revive an interest in the original series. 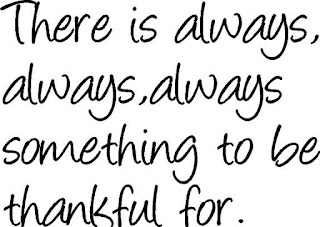 I certainly hope so. I can't decide if this is a good place to start or if you should start with the Golden Compass, the first book in the His Dark Materials series. Usually I recommend that readers start and read the books in the order that the author wrote them. So I will stick with that advice. Pick up The Gold Compass (US title) or Northern Lights (U.K. title) and be ready for a wonderful and exciting fantasy. And while I am offering advice, let me offer one more suggestion---avoid the movie "The Golden Compass". It is terrible and will put you off from wanting to read the books. 2017 Book Club favorites. I am in two book clubs. For this reason sometimes books will end up on my end-of-the-year list more than once. This year I didn't ask the gals in my clubs, SOTH and RHS, for feedback, therefore this list is all mine. Keep in mind I select my favorites based not only on how much I liked the book but also on how well the book generated a discussion. I also factor in an educational aspect. Did I learn something new by reading the book? If so, bonus points. 4. Ordinary Grace by William Kent Krueger. Grace is an unexpected and undeserved gift. This book is full of grace. It starts with a death and a mystery. It is also full of family, community, love, and grief. The ending is so perfect, it should be bottled and sold! 5. Grunt: The Curious Science of Humans at War by Mary Roach. 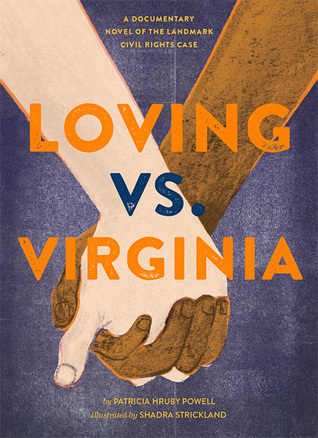 This was the All-Pierce Reads selection of the year which meant we not only had a book club discussion about the contents of Roach's book but we also attended a community event with the author. If you haven't read books by Roach, I recommend them. They are fascinating and funny at the same time. This book looks at aspects of military science---the cloth used in uniforms, the horrors of diarrhea, where men sleep on a submarine, etc.---aspects one might never have thought about before. She writes clearly but with a strong sense of humor. We had a fairly funny discussion as we attempted to discuss the touchy topics. 10. This Is How It Always Is by Laurie Frankel. A family deals with the a secret. Their daughter was born a son. How the family deals with the secret ends up nearly destroying them all. It is a very current and important topic. The reason this is number 10 on my list was because I didn't attend the meeting where is was discussed. I wish I could have talked to others about my thoughts. 11. Five Days at Memorial by Sheri Fink. What happened in a hospital during and after Hurricane Katrina in New Orleans. It was horrifying. The book is also very long, 558 pages. No one liked the book at all but we had a tremendous book discussion. 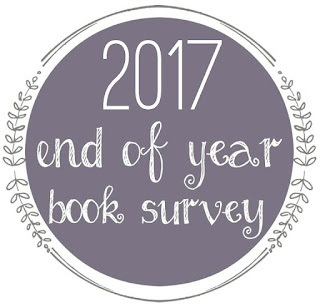 If you are in a book club, what were your favorite discussion books this year? 2016 favorite book club selections. Weather: It's snowing! We are having a White Christmas! Today: Christmas. We plan on driving up toward Mt. Rainier to have dinner with our daughter and her in-laws. But the weather may have other ideas. View of our front garden. Snow and lights. Our backyard, photo taken this morning, Christmas day. And more snow is falling. Yesterday: We had a family celebration here with a ham dinner. Our grandson and his parents came over after church and we spent the day together eating, opening gifts, and enjoying each other's company. Then they had to run to prepare for another church service and a party with our son-in-law's family. It had just started snowing. No one thought it would amount to much. A trip that usually takes 45 minutes, took nearly two hours, so they missed church. They said they saw 17 cars in ditches. We don't know how to drive in snow around here! Our grandson and his parents. Ian is wearing a tuxedo! Right now: The Hallelujah Chorus is playing on the stereo. A sign that Christmas festivities are getting ready to start around here. Merry Christmas!!! I was not sufficiently ill to be miserable, and being a pampered invalid was therefore fine fun. 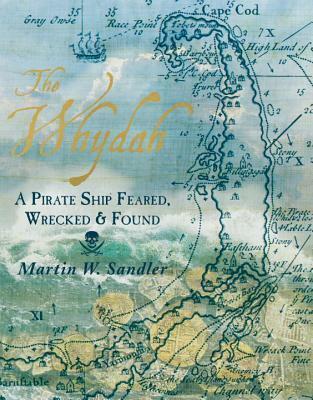 Comments: The narrator of this very Australian story is Sybylla, as was the author. It is set in the outback where life is very tough and the advantages very few. Sybylla doesn't fit with her family. She is always pining for something more, something brilliant to do with her life. It was first published in 1901. 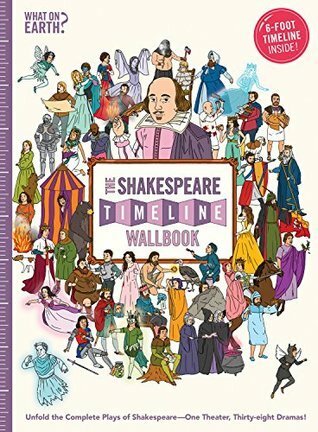 I am reading this book as part of my Classics Club reads and it was the spin book chosen for the month. I've long wanted to read My Brilliant Career because my mother used to tell me that I reminded her of Sybylla. Having seen the movie, I thought she meant that I was like Sybylla because we both had frizzy hair. Now I wonder if she meant that I was always the most dissatisfied of my siblings, always dreaming and striving, like the narrator. I honestly don't know what she meant by the comparison. So far, I'm about 40% completed, I like the book but it is certainly set in Australia using words and locations I am not familiar with. Ian, our grandson, is playing with grandpa. Weather: cold and wet, it is either raining or threatening to rain. 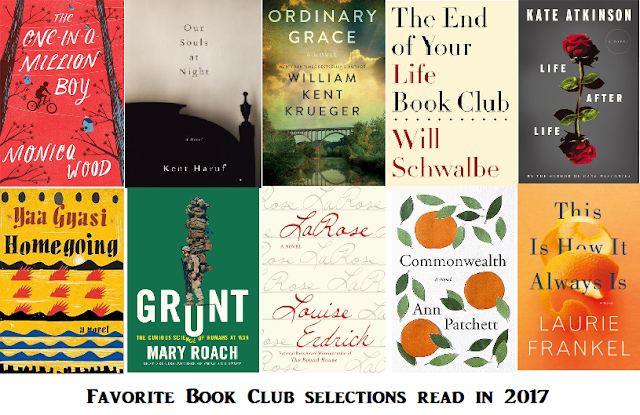 End of the year in books: Every year at this time I put together a bunch of lists: favorites, best books for books clubs, and just lists of other other publication's list. Here are links (click on hyperlinks) to my End of the Year in Books blog post; my list of best books lists; my favorite books of the year; and another end of the year meme. 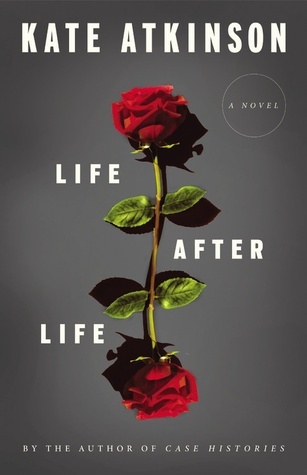 I will be putting together a list of my favorite book club selections soon. Stay tuned. Home for the holidays: Our daughter made it home from New York on Friday. It is beginning to feel like Christmas will happen this year. 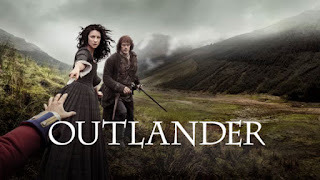 Outlander series: my husband and I have been bingeing on the Outlander series. Season three just ended for most folks but we are still watching season two. It makes us want to visit Scotland. Snapdragon blooming in December, growing out of the brick. Silly flower: We have a snapdragon flower growing out of our brickwork and it is blooming. It has snowed. We have had freezing temperatures. It seems undaunted. Cybils update: This week the other judges and I will meet in a google chat and hopefully decide the books we want to move forward as our short list. I've rechecked the books that made our long list and have been reviewing them. I've read all of those books but one and I should be able to finish that book in time for our discussion on Wednesday. It has been a demanding yet rewarding experience and I am ready to hand off the responsibility to round 2 judges soon. Here is a link to the post where I talked about my favorites. These books may or may not make it to the next round. 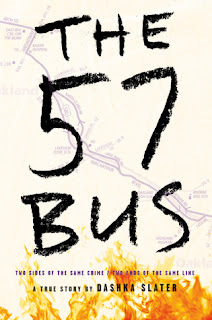 The 57 Bus---a nonfiction book that is being talked about in the blogosphere. I hope to write up a review of it soon. 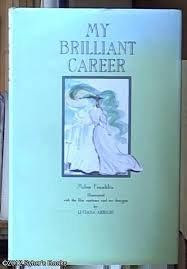 My Brilliant Career---my Classics club spin book. Honestly I haven't been reading this book with all the nonfiction I have been working on. I will have to put on the gas to finish it by the goal date of December 31st. Far From the Tree by Benway---the National Book Award title for YA literature and a Mock Printz 2018 selection. Dear Fahrenheit 451: Love and Heartbreak in the Stacks by Annie Spence. I've ordered the audiobook from the library. The Lost History of Stars by Dave Boling...the next book for my book club. Carly is home for a month! Ian has visited us twice. His laughter when Grandpa talks like a duck. The siding is on the house, painted and looks great. End of the Year. A year in books. Romeo and/or Juliet: A Chooseable-Path Adventure by Ryan North. Instead of being funny, I thought it was stupid. 5. Best series you in 2017? Bull by David Elliott---Greek Mythology, written in verse. Thick As Thieves by Megan Whelan Turner. It was the first book of the year I just couldn't stop reading. The adventure and the action were tense but not over-the-top. It is pretty unlikely I will reread any of the books I read this year. 16.Shortest and Longest Book You Read In 2017? Strange the Dreamer by Laini Taylor...it left the reader on a huge cliff-hanger! Sarai and Lazlo Strange in Strange the Dreamer. Um..m---can't think of any crushes on characters this year. 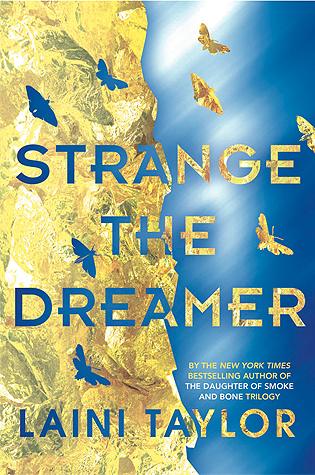 Strange the Dreamer by Laini Taylor...I could picture everything and it was wild! The Hitchhiker's Guide to the Galaxy by Douglas Adams. This is a reread for me. Ha ha. What fun! 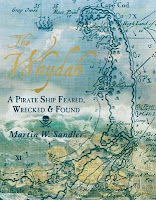 The Whydah: A Pirate Ship Feared, Wrecked, and Found by Martin Sandler. The March Against Fear by Ann Bashum, the last big march of the Civil Rights era. I'm terrible of keeping track of these things. Farewell to Muffy with a look at the literature. --- Written the day we put our beloved dog down. Cavalcade of Authors West in University Place, Washington. Being asked to be a Cybils Judge because of my book blogging. I am just finishing up on role as a round 1 judge for junior high/senior high nonfiction books. I had a really hard time writing reviews this year. I am so far behind of where I want to be with my reviews that i get really frustrated. But then I have to do some self=talk and remind myself that I need not pressure myself. I am doing this at my own volition, so why add stress to myself? Saying Goodbye to a Friend ---598 views, 25 comments written after the death of my high school friend. Actually, this post had a lot of views, but not a lot of comments. I wish I knew what people thought when they read it. I compared Trump to Charles Lindbergh. Once again, I didn't keep track of them. c. The Big Book Summer Challenge --- Read three books. 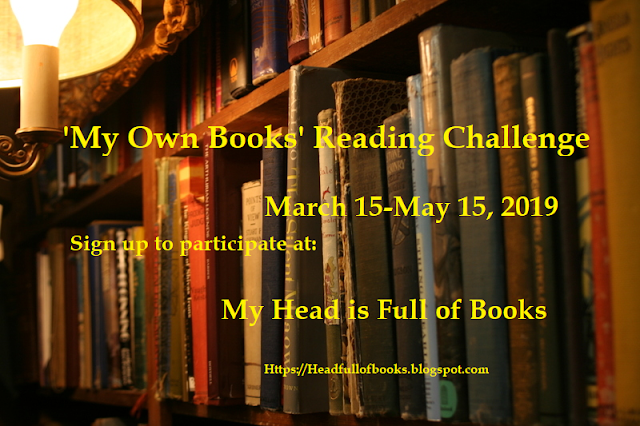 d. Pulitzer Challenge --- read the current winner and make progress on past winners list. Read two. 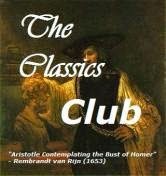 e. Read Classics Club list ---- Read three classics. 1. One Book I Didn’t Get To In 2017 But Will Be My Number 1 Priority in 2018? I haven't paid attention. Sigh. I am looking forward to reading the next book in the Book of Dust series by Pullman AND the second book in the Strange the Dreamer series. OK. Let's see if I can commit to reviewing at least half of the books I read. I'll try that. Three nonfiction reviews about girls, by girls!